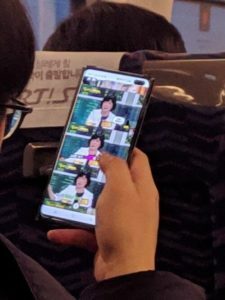 The photos of upcoming Samsung Galaxy S10 plus may have been leaked online as a Redditor uploaded a photo of a person using the device in a bus. Should it be the real deal, the photo which is not that clear apparently gives us a hint of what to expect next month at the phone’s launch. As earlier speculated, the Galaxy S10 plus appears to have a dual selfie camera at the top right embedded in the display. 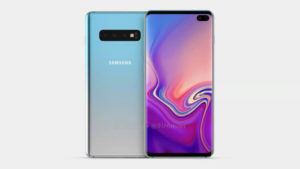 However, the Galaxy S10 plus which will be launch at a Samsung event on February 20, is expected to come with a QHD+ display, Snapdragon 855 chipset (or Exynos 9820), 8GB RAM, a triple rear camera and an in-display fingerprint sensor. Read more here at android authority.